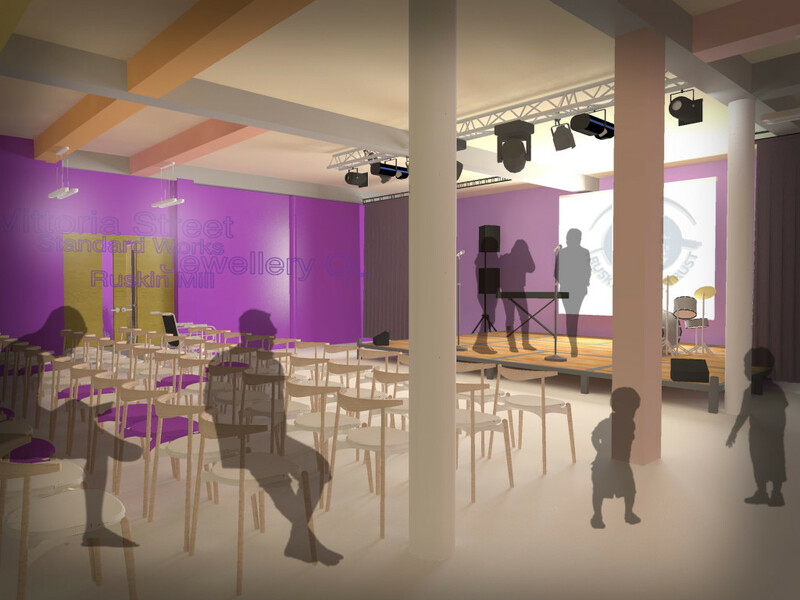 We have been working with Ruskin Mill Land Trust to transform the Standard Works building in Birmingham’s Jewellery Quarter and bring it back to life as a specialist education college. 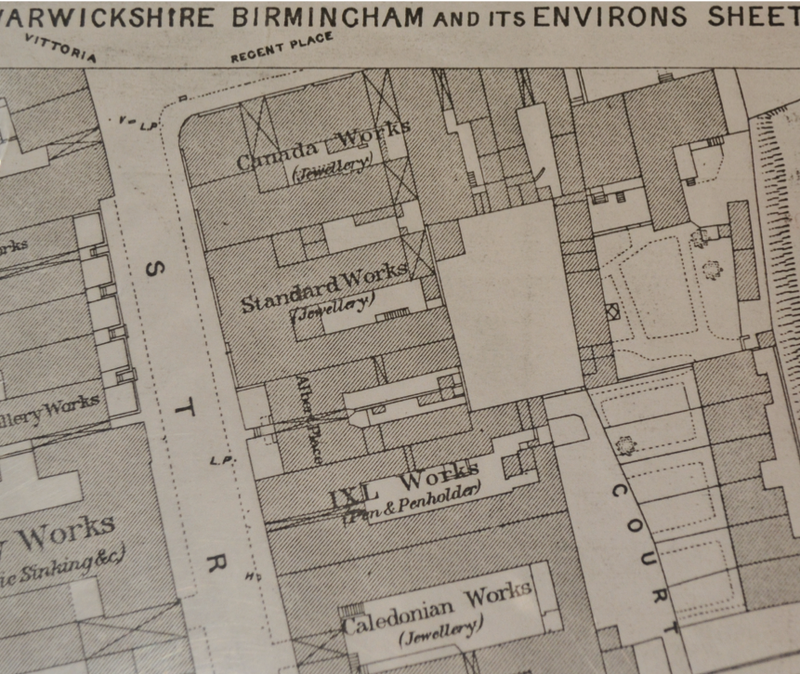 This former silversmiths on the corner of Vittoria Street and Regents Place in the Jewellery Quarter has been sitting empty for 20 years. Ruskin Mill Land Trust (RMLT) have taken the building under their wing and with the Educational Funding Agency (EFA) are currently undertaking the first phase of work in which parts of the building are now being renovated and brought back into use as an educational facility (multi-use facility). 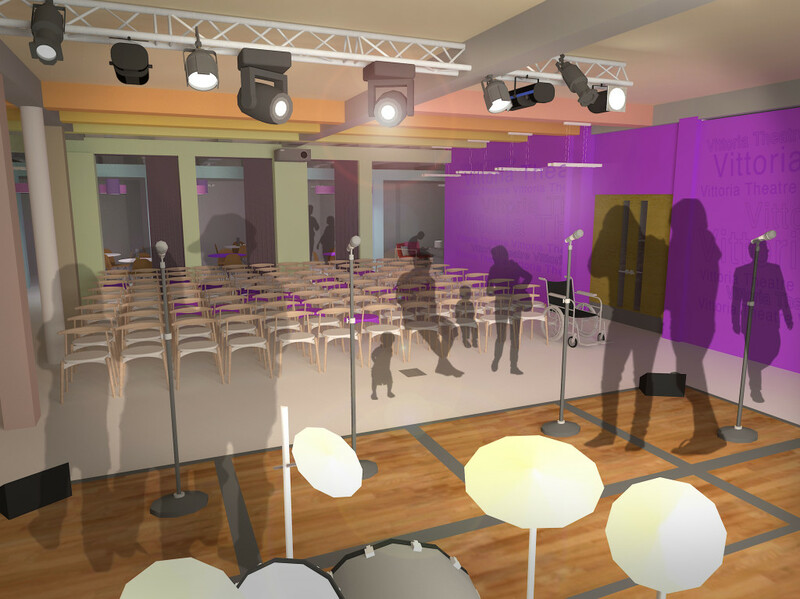 As well as educational use, the building will also provide a cafe, performance space and exhibition space, and roof garden. Standard Works was built around 1879 and is Grade II Listed. It was originally built as 15 separate industrial units and is considered to be one of the best examples of a 19th Century factory building within the area. 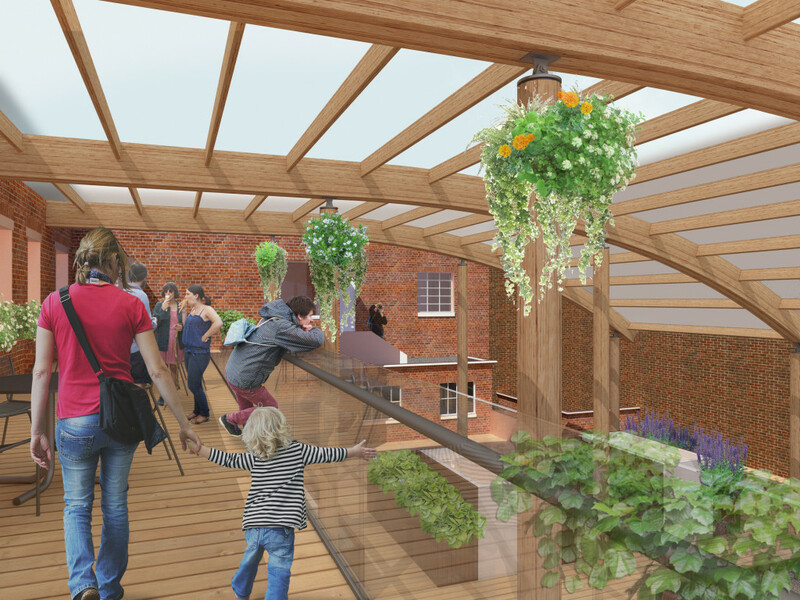 Planning and Listed Building consent were granted in Spring 2014 and building work is currently underway. 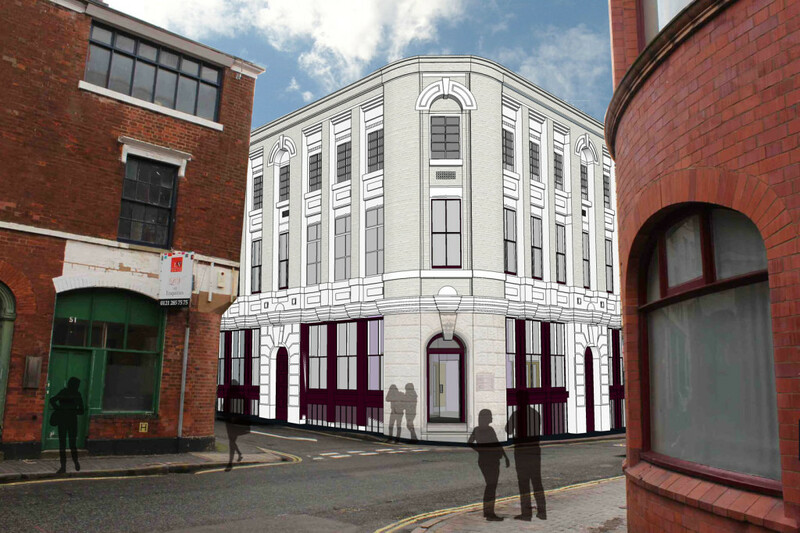 Contractors SpellerMetcalfe have been appointed for the first phase of the work. The vision for Standard Works has been developed through a rigorous and continual dialogue with the client. 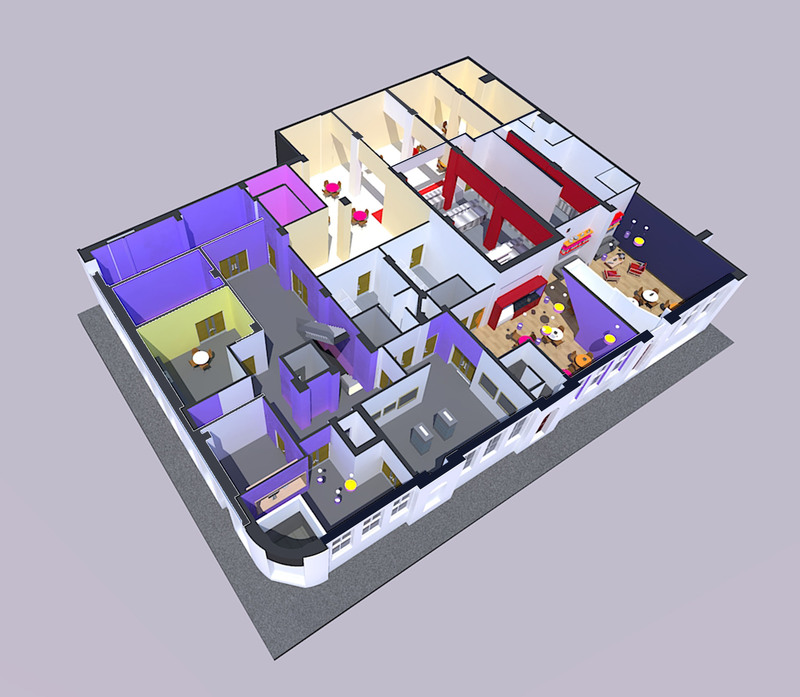 At its core is the fundamental desire to create a campus for the RMLT in the centre of Birmingham, within a setting that supports and enhances the Trust’s established record of renovating historic buildings, whilst also ensuring that the building provides spaces that create and support the right experience for the students, staff, businesses and the public. We have approached the project using the same design philosophy adopted by us at Ruskin Glass Centre, Stourbridge, also for RLMT. This involved retaining as much of the existing buildings as possible, which already had an appealing Industrial aesthetic to them. This provided a robust base on to which RMT could add their own distinctive and individually tailored features.